NEW YORK, 1 March 2019 — UNICEF warned today that global cases of measles are surging to alarmingly high levels, led by ten countries accounting for more than 74 per cent of the total increase, and several others that had previously been declared measles free. 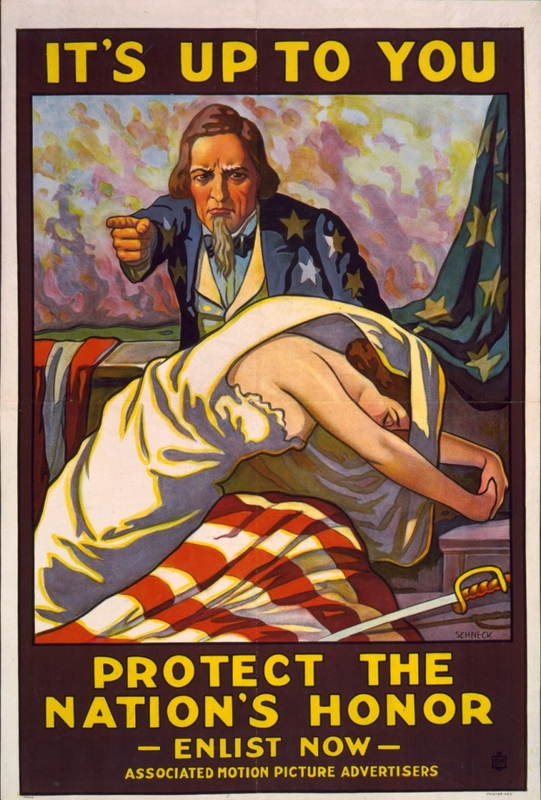 This World War I-era recruiting poster used Uncle Sam to drive its subtle pro-war message home. Each year the Bureau of Alcohol, Tobacco, Firearms and Explosives issues a report on gun commerce in the United States. This includes statistical information on the number of guns manufactured, imported, export, tax revenue raised, transfers, etc. I’ve mirrored the reports from 2011 through 2017 below because I don’t want to have to run down this information later. This “How To Spot A Jap” comic was included in the U.S. Army’s 1942 “Pocket Guide to China,” which it distributed to soldiers who were being sent to fight in China. Milton Caniff, creator of the Terry and the Pirates comic strip, did the illustrations. Instructing people on how to distinguish Chinese from Japanese people was apparently a common theme of World War II-era propaganda. For example, the December 22, 1941 edition of Life magazine ran a feature titled How To Tell Japs from the Chinese. The other day I ran across a story about government spending that made me wonder how much the United States has spent on the numerous wars it has waged over the last couple centuries. Well, it turns out that in 2010 Stephen Daggett of the Congressional Research Service prepared a report (155k PDF) estimating the military costs of all American Wars beginning with the Revolutionary War and extending to the recent wars in Iraq and Afghanistan. Daggett notes a number of challenges with estimating total war costs. Although the costs are expressed in FY 2011 dollars, comparing costs accurately over such a long period of time is difficult at best. With more recent wars, what counts as a direct war expenditure has changed over time and so earlier wars such as Vietnam likely underreport their true cost. On the other hand, even for current wars the dollar estimate is for ongoing combat and support actions and does “not reflect costs of veterans’ benefits, interest on war-related debt, or assistance to allies.” With the wars in Iraq and Afghanistan, for example, some studies estimate that total veteran benefits costs will actually be large than the cost of the wars themselves. Human Rights Watch has a new report outlining just how far down the rabbit hole the Bush administration was willing to go when it came to torturing anyone with ties to al-Qaida. The Libyan Islamic Fighting Group was a dissident group formed in the late 1980s and dedicated to overthrowing the Gaddafhi regime. The LIFG tried unsuccessfully to assassinate Gaddafhi at least three times in the 1990s but was largely defeated by the end of the decade. Its members were forced to flee Libya and many of them ended up in Iraq or Afghanistan. The LIFG sympathized with and was clearly supported by al-Qaida. Five former LIFG members told Human Rights Watch that they were detained in US run-prisons in Afghanistan for between eight months and two years. The abuse allegedly included: being chained to walls naked—sometimes while diapered—in pitch dark, windowless cells, for weeks or months at a time; being restrained in painful stress positions for long periods of time, being forced into cramped spaces; being beaten and slammed into walls; being kept inside for nearly five months without the ability to bathe; being denied food and being denied sleep by continuous, deafeningly loud Western music, before being rendered back to Libya. The United States never charged them with crimes. Their captors allegedly held them incommunicado, cut off from the outside world, and typically in solitary confinement throughout their Afghan detention. The accounts of these five men provide extensive new evidence that corroborates the few other personal accounts that exist about the same US-run facilities. One of those five, before being transferred to Afghanistan, as well as another former LIFG member interviewed for this report, were also held in a detention facility in Morocco. All interviewees said their captors forcibly returned them to Libya at a time when Libya’s record on torture made clear they would face a serious risk of abuse upon return. All had expressed deep fears to their captors about going back to Libya and five of them said that they specifically asked for asylum. One of them, Muhammed Abu Farsan, sought asylum in the Netherlands while in transit between China and Morocco. He said his asylum application was ultimately denied and he was sent to Sudan, where he held a passport. But Sudanese authorities kept him in detention and, shortly after his arrival, individuals representing themselves as CIA officers interrogated him on three different days. Within two weeks he was sent back to Libya. Though the Netherlands is the only government that actually had provided any of the Libyans we interviewed with an opportunity to challenge their transfer, the Tripoli Documents contain information suggesting Dutch officials might have been aware that Abu Farsan would ultimately be sent to Libya from Sudan. To the extent they knew that there was a genuine risk he would be returned to Libya, they violated his rights against unlawful return. As Human Rights Watch notes, the torture of Libyan prisoners is especially important since the torture of one Libyan—Ibn al-Sheikh al-Libi—was essential in the U.S. run-up to the war with Iraq. After being interrogated by CIA torturers, al-Libi told his tormenters what they wanted to hear—that Saddam Hussein had extensive ties to al-Qaida. The Bush administration then trumpeted that fact and Secretary of State Colin Powell included it in his now infamous 2003 presentation to the UN Security Council. Al-libi told debriefers that he fabricated information while in U.S. custody to receive better treatment and in response to threats of being transferred to a foreign intelligence service which he believed would torture him… He said that later, while he was being debriefed by a (REDACTED) foreign intelligence service, he fabricated more information in response to physical abuse and threats of torture. Consistent with its obligations under the Convention against Torture, investigate credible allegations of torture and ill-treatment since September 11, 2001 and implement a system of compensation to ensure all victims can obtain redress. Acknowledge past abuses and provide a full accounting of every person that the CIA has held in its custody pursuant to its counterterrorism authority since 2001, including names, dates they left US custody, locations to which they were transferred, and their last known whereabouts. Create an independent, nonpartisan commission to investigate the mistreatment of detainees in US custody anywhere in the world since September 11, 2001, including torture, enforced disappearance, and rendition to torture. It is sad that our political culture has become so degraded that the odds of any of those steps actually happening are essentially zero.